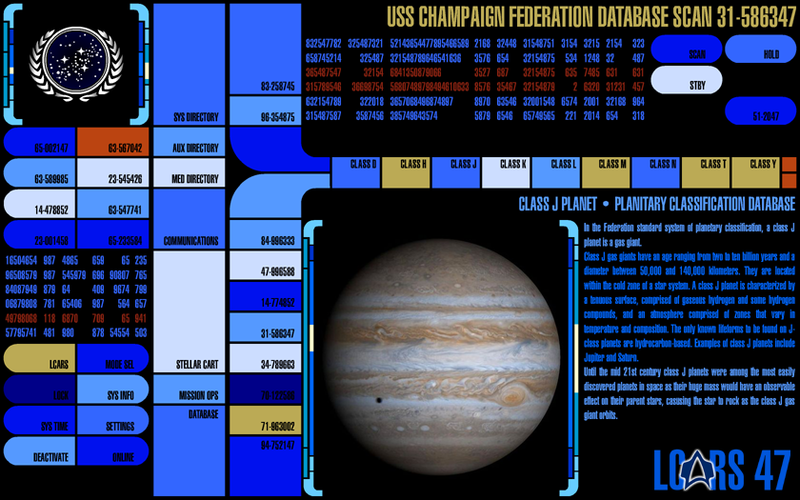 As you're probably aware, we're in the process of dumbing more info into the Federation Database. We've now added an option to select from one of several alien databases too. To the right, is a screenshot from the Klingon database (original Klingon language table design by our very own Greig (RunicCode)). 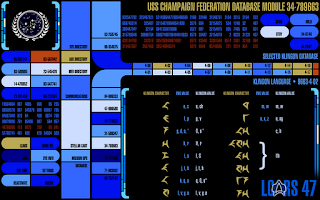 On release, there will be only two databases available, Cardassian and Klingon but more will follow in the form of plugins. There's even a brand new Planetary Classification module (bottom left), because let's face it, it's easy to get your class H and class L mixed up. If you want to see some more screenshots, have a look at the growing album here (broken link removed). A big thanks to the editors of Memory Alpha for the text used in the majority of the database and thanks to Bernd Schneider of Ex Astris Scienta for the reference material. As always, if you guys have any suggestions for the database, email me, drop by our new Facebook page or leave a comment below.